Telangana: India's youngest state, Telangana held its first phase of general elections on Thursday. Polling was held at 17 Lok Sabha constituencies, but Nizamabad stole the show with a record number of 185 candidates contesting the elections. 443 candidates contested from all 17 constituencies in Telangana in the first phase of the general election. 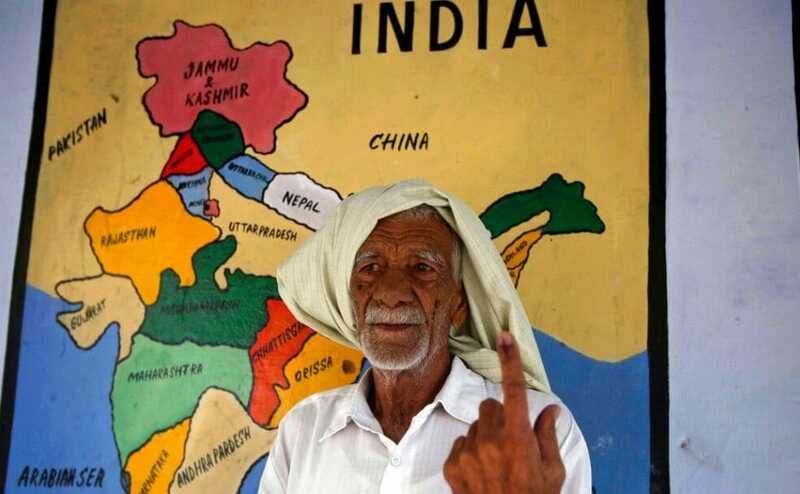 The Election Commission made arrangements for 34,604 polling stations manned by around 3 lakh polling staff, policemen, and security personnel. The first phase of polling began at 7 am for 16 constituencies, except in Nizamabad, where it began at 8 am and concluded at 6 pm. An estimated 60.57 percent of voters cast their ballot till 5 pm in the state. 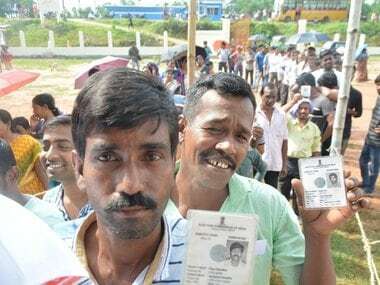 Barring a few incidents of clashes between Bharatiya Janata Party (BJP) and Telangana Rashtra Samithi (TRS) activists, the polling was largely peaceful and orderly. 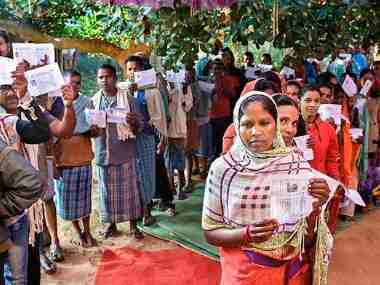 The Election Commission had made tight security arrangements at 16 Assembly constituencies known for Naxal activities. These sensitive areas include Sirpur, Asifabad, Bellamapalli, Bhadrachalam, Mulugu, Kothagudem, Bhupalapalli, Asvarao Pet, Pinapaka, Illendu, and Manthani. At Nizamabad, farmers formed the majority of the 185 candidates contesting for the Lok Sabha seats. 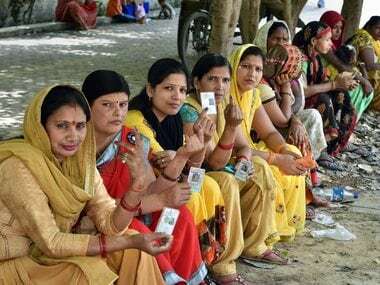 The poll panel set up 12 EVMs in each booth of the constituency, but faulty EVMs led to delays for voters who had to queue up for more than 30 minutes to cast their votes. TRS founder and Telangana chief minister K Chandrasekhar Rao (popularly known as KCR) led the election campaign and is confident about winning 16 Lok Sabha seats. All India Majlis-e-Ittehadul Muslimeen's (AIMIM) candidate Asaduddin Owaisi is being tipped to win from Hyderabad. To hold onto its lone seat in Telangana, BJP had roped in its national president Amit Shah and Uttar Pradesh chief minister Yogi Adityanath to address public meetings and rallies. The party denied a ticket to its sitting MP Bandaru Dattatreya from Secunderabad and instead fielded former MLA G Kishan Reddy from the constituency. TRS fielded Talasani Saikiran Yadav, while Anjan Kumar Yadav was the Congress candidate from Secunderabad. Congress, which had an alliance with other political parties in the last Assembly elections is contesting alone and has fielded candidates in all constituencies. Their prospects are high in two constituencies, Khammam and Chevella. Renuka Choudhary from Congress and Nama Nageswara Rao from TRS are pitted against each other in Khammam. "KCR is confident of winning 16 Lok Sabha seats and playing a key role in national politics. Many welfare schemes announced by the Telangana government will help TRS candidates win,'' said professor E Venkatesh of Hyderabad Central University. According to Sudhakar Goud, a political analyst, the lukewarm response from voters had to do with the frequent elections held in the state ranging from the gram panchayat to the Assembly election, and now the Lok Sabha election. “Fatigue is the reason for the poor voter turnout in the Lok Sabha elections. Voters have no trust in candidates because they do not know how long candidates will remain loyal to their respective parties once elected. Congress and BJP are responsible for the TINA (there is no alternative) factor in Telangana. The TRS cornered all political parties by encouraging defections. Congress won 19 seats in the Assembly election, but 10 Congress MLAs then joined TRS. TRS encouraged defections despite having an absolute majority in the state Assembly,’’ said Goud. According to political analyst, PL Visveswara Rao Congress has improved its chances of winning more Lok Sabha seats. “One cannot expect voters of Telangana to support TRS candidates in Lok Sabha elections since there is a difference between regional issues and national issues. Voters consider national issues while casting their votes in Lok Sabha elections. The TRS candidates got defeated in the recently-held elections to the Legislative Council. This shows the resentment of voters against the TRS government. Look at the number of farmers contesting from Nizamabad. The chief minister’s ambition of playing a key role in the centre has not gone down well with voters,’’ said Rao. Governor ESL Narasimhan, Chief Secretary Shailendra Kumar Joshi, and prominent personalities like K Taraka Ramarao, Junior NTR, Rajendra Prasad, Krishna and Vijaya Nirmala cast their votes in the morning.